Bad posture causes forward head positioning, which puts a strain on the muscles, disk, and ligaments of the Temporo-Mandibular Joint (TMJ). The jaw is forced to rest in an opened position, and the chewing muscles become overused. Many people clench their jaw at night while sleeping, usually due to stress. This puts strain on the TMJ because of the constant stress on the joint and surrounding muscles. If your teeth come together in an unusual way, greater stress is placed on your TMJ. In a traumatic accident involving the face or head, a fracture to the lower jaw may result. Even when the fracture is completely healed, TMJ stiffness and pain may continue to remain. Following surgery to the face and jaw, there may be a loss in mobility and function of the TMJ. 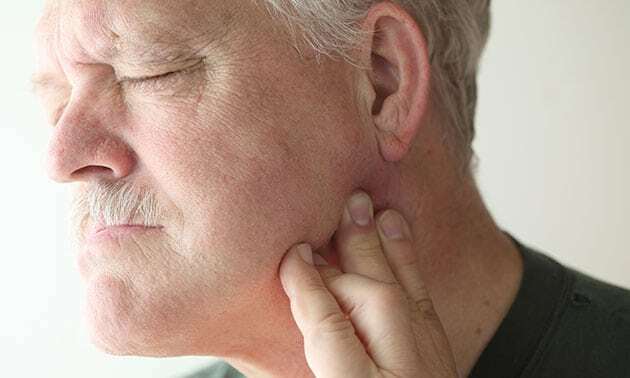 This condition — where jaw muscles spasm and the jaw cannot be fully opened — can be both a cause and symptom of TMD. For more information on our TMJ/TMD Therapy Program, contact us at 801-942-3311, or complete the form below to be contacted by a Mountain Land Physical Therapy clinic near you.